For dayan, twisted gajara without binuni. Made by Vijay Vhatkar. $6.50 shipping (US). All heads tested and working before arriving in US. These are made to order, about 3 to 6 weeks for delivery. Tabla straps ~ thick leather strap roll from India. Will fit either dayan or bayan. Very nice! Talc cases~ several styles as shown. Please specify type in comments during checkout. 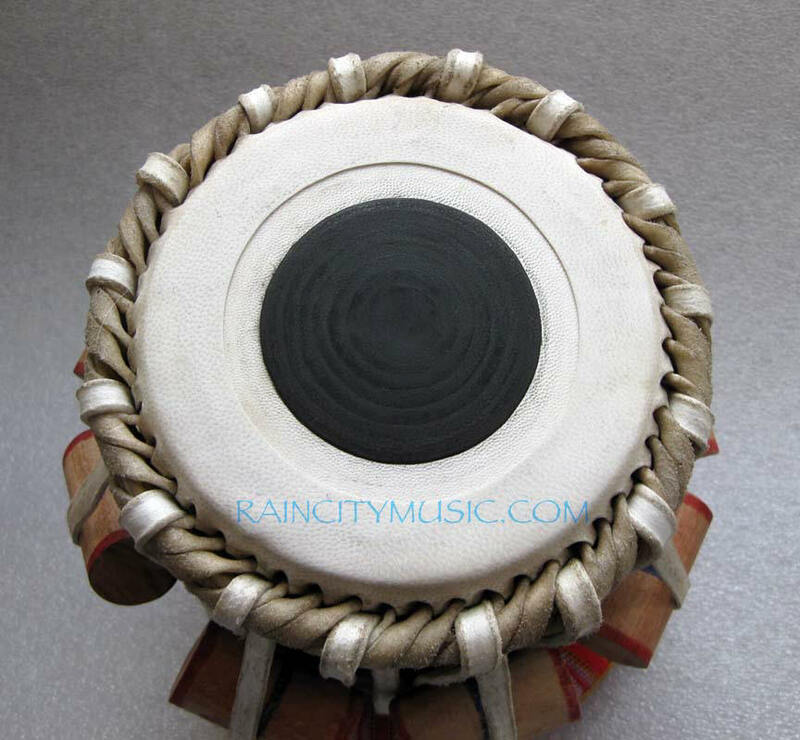 Fiberglass tabla case~ . 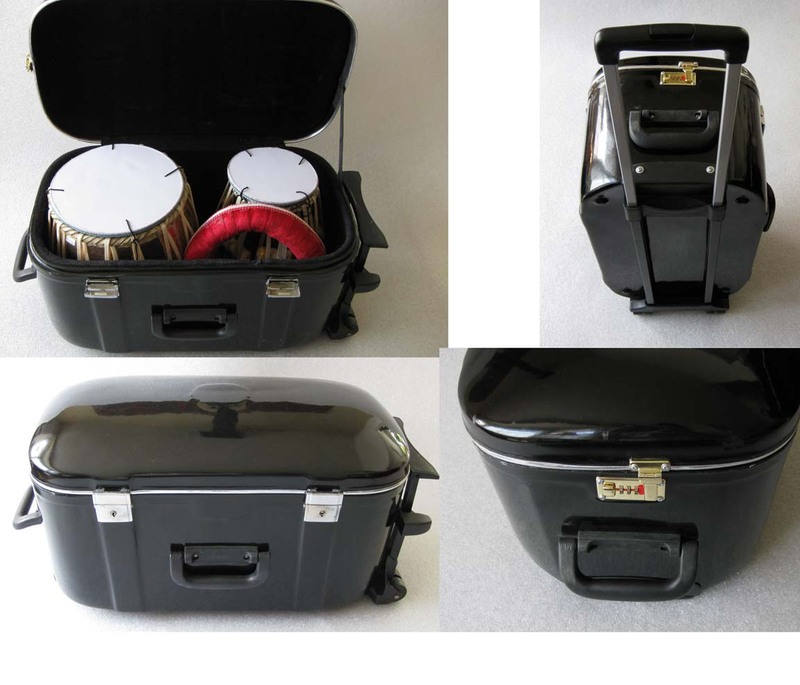 Top of the line case from India with wheels and trolley. 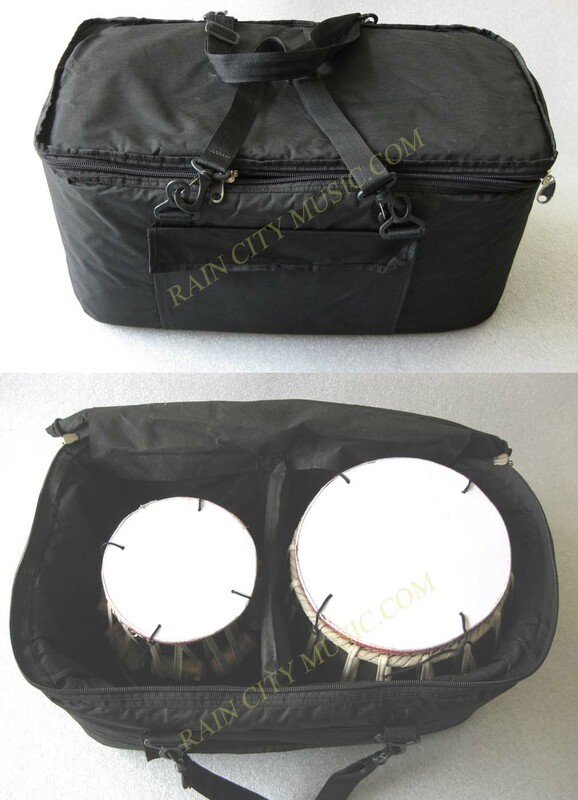 Deluxe tabla padded case/bag ~ . 1 inch thick padding and front pocket, well made. No frills tabla bag~ . 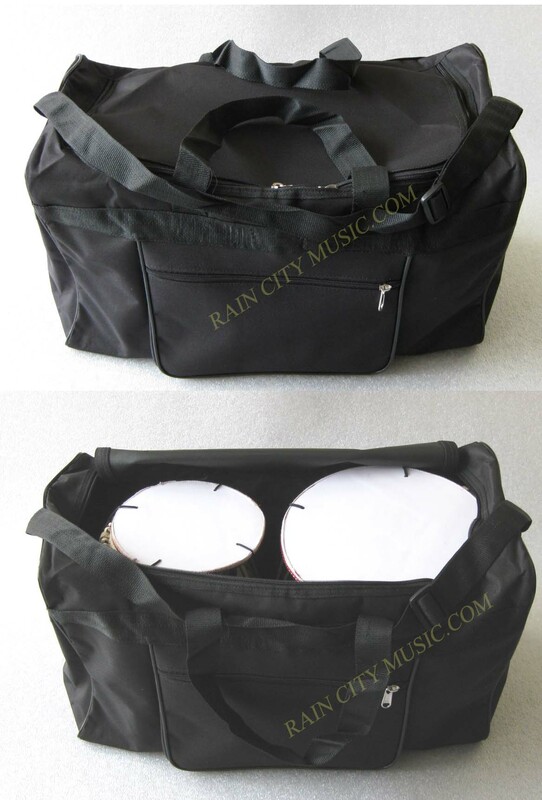 Nylon with zippered pocket.